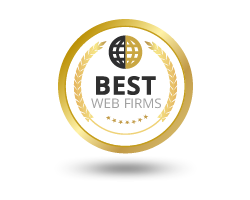 Our talented web design experts at Webseology have been building great websites since 2005. You’re busy trying to run a business, so let us take care of your professional web design and SEO needs for you. We create custom whiteboard videos geared to captivating your audience. Having a unique logo design is part of the branding and marketing process of your business. You’re busy trying to run a business, so let us take care of your professional digital marketing needs for you. From web design to SEO even whiteboard video creation, we do what you need to build your online presence. Our Digital Marketing Service combines different internet marketing techniques to build your brand and online presence. Through social media, pay-per-click (PPC) and other digital marketing facets, we will increase your company’s internet presence. We specialize in building affordable, creative and professional websites that are up on all the latest web design trends. If you are a small business looking for a new website or a website redesign you have come to the right place! Owning a website requires maintenance. At Webseology we understand that you are busy running your business and may not have time to worry about website maintenance. That’s why we offer a very affordable website monthly maintenance service plan. Having a unique logo design is part of the branding and marketing process of your business. It should capture who you are, often times be simple, easy to understand, stand out from the rest – all with a clear message. Our best practice SEO service is geared toward helping your website rank higher in the search engines. Our website optimization strategy uses both on-page and off-page factors to ensure a successful search engine ranking so viewers can find your website easily. We provide one of the largest hosting and SSL services to small businesses in the industry. Our website hosting delivers some of the fastest load times, while offering advanced scalability to grow as you do. We offer whiteboard video creation and video editing services. Let us create for you a custom whiteboard explainer video perfect for capturing your audience’s attention. Your website is the foundation of your online presence. It is often times the first thing your potential customers we learn about you. As we all know about first impressions, they can be lasting, which may or may not be a good thing. Don’t be fooled by our affordable web design prices. Great web design does not have to cost you and arm and a leg, and that’s why we offer affordable web design packages to suit your needs. It’s what we do, and we are good at it. Simply having a website will not bring in the visitors, or more importantly, the conversions you are looking for. To have a successful, profitable website it needs to be engaging, responsive and geared toward your target market – and, of course search engine optimized for the proper keywords and SEO keyphrases that your potential customers are searching for. We understand that not one SEO package fits all. That’s why Webseology offers three SEO packages and even a completely customized optimization packaged to suite your SEO needs. All of our SEO methods are ethical, white-hat manual practices geared toward helping you website rank well in the search engines and stay there. Look over our SEO packages and contact us today to get started. If you need a customized SEO package for your website goals, contact us, as well as, and an SEO expert will get back to you right away.